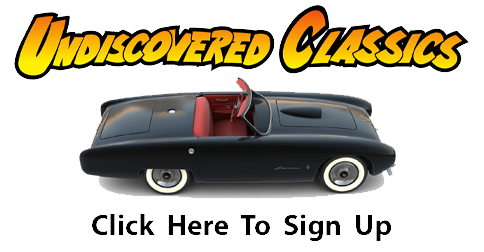 So you want need to build a frame for that Victress body (or other 100” wheelbase sports car body) you just bought? The Hellings Company was ready to help with their 2 sided 8 and ½” x 11” flyer. 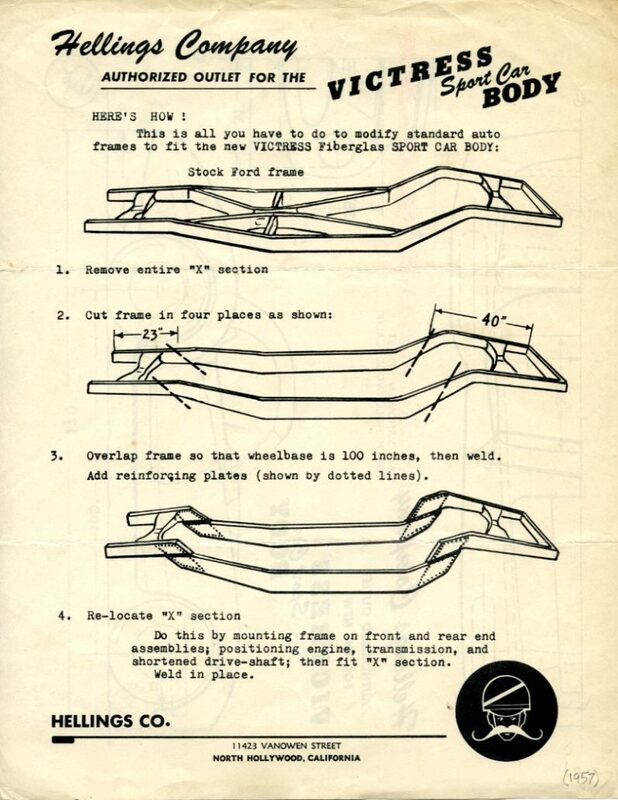 Here the folks at Hellings (most likely Virgil Rice) showed you how to change a stock Ford frame into a lowered chassis for use with the Victress S1 body. There were 4 basics steps, and these are shown below. The only step that was discussed but not illustrated was the last step where the “X” section was fit back in and welded into place. This is not shown in the flyer. These are nicely drawn with specific dimensions shown that would be needed to give your Victress S1 sports car the proper stance on its newly built frame. It’s helpful to note that in all of the pictures you can “see-thru” the body and identify specific locations and measurements for chassis positioning. 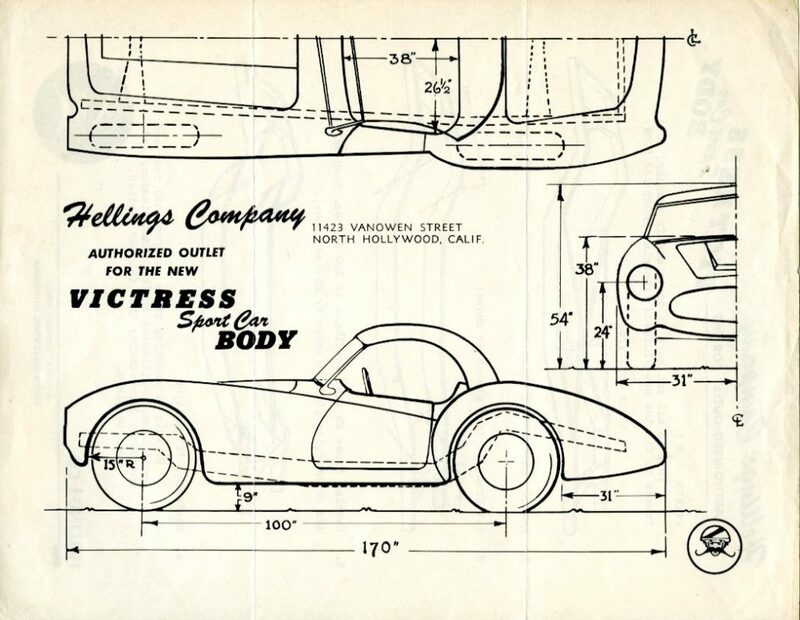 This flyer from Hellings would have been a useful tool to many a car guy “back in the day,” and may have been all a competent builder and designer of a hand-crafted American Special needed to complete their custom-built sports car. We’ll feature more of the Hellings legacy with Victress here at Forgotten Fiberglass in the near future. Geoff, it’s interesting that you have found flyers dated as late as ’57, when Hellings and Victress parted company in early ’54. I have no explanation for that. Merrill…the date is handwritten on the bottom of the flyer. There’s no corresponding dated envelope so…we just keep gathering data and looking for convergence of patterns, dates, details, etc.